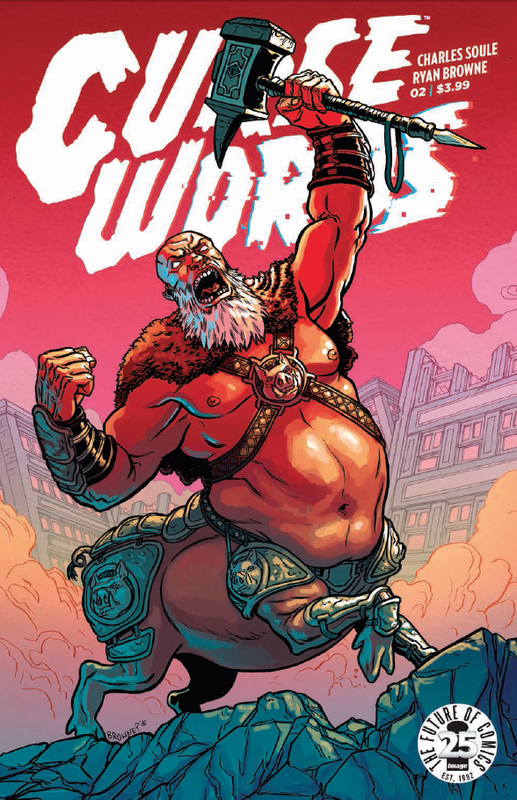 I gotta admit, I was drawn to Curse Words originally because the covers looked so damn cool. I’ve never really read much by Charles Soule, but always hear good things about him so I thought it might be time to give a book of his a try. So let’s take a peak in and see how the book is going after these first three issues. The series opens by throwing you right into the middle of the story, with the magical Wizord turning a pop star Johnny One’s entire body into platinum before being attacked by a very creepy looking character named Cornwall. As Wizord and Cornwall are set to square off, we get some of the backstory of how Wizord became a wizard-for-hire. When Wizord arrived on Earth, he came with the assignment to destroy all life on the planet. But as he learned about humans, he started to enjoy the planet and decided that, instead of destroying Earth, he would help people out and protect them from his boss, Sizzajee. Wizord is an instant sensation, first by protecting California from wildfires and creating food for the hungry, then by helping individuals in exchange for sapphires. Jumping back into the battle with Cornwall, we see that the two are fairly evenly matched at first. 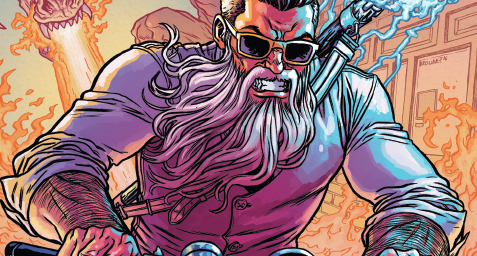 Then it’s revealed that the reason people pay Wizord in sapphires is because they are used to power his magic. After powering up using the sapphires from Johnny One, Wizord erupts Cornwall in a ball of blue flame. The kill happens in a baseball stadium in front of thousands of people, and instead of explaining to the frightened people what is going on, Wizord puts them in a stasis and shrinks the entire stadium into the palm of his hand. In a place known as the Hole World, Sizzajee watches the battle and prepares to send someone else after Wizord. He starts to send a minotaur named Botchko, but Wizord’s former lover Ruby Stitch volunteers to go in his place. Moving on to the second issue, we see that Wizord not only put the stadium in a stasis, but also the thousands of people that were watching the game in their homes, much to the chagrin of his talking koala bear, Margaret. Wizord travels to Sri Lanka, where he gives a wish to former dictator Mr. Bharathakulauriya in exchange for the world’s biggest sapphire. Using the power he obtains from this sapphire, he creates a magic, perfect world for the people he put in stasis. Meanwhile, on Hole World, Ruby Stitch powers up using the biggest ruby in the Hole World, a gift from Wizord when they were together. Sizzajee is the origin of all of the magical powers, so he wants to cut off Wizord’s power. In order to do this, he cuts through a blue tube, an act that seems extremely painful for him. 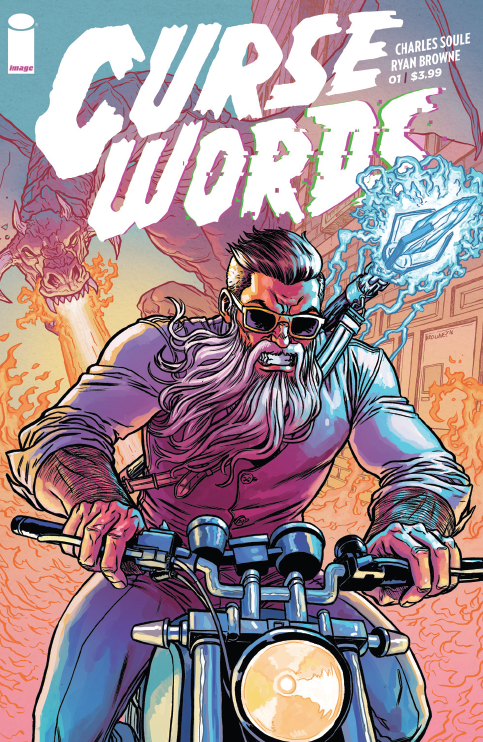 The second issue ends with Wizord losing his beard and realizing that his magic is gone. To start off the third issue, Sizzajee sends Ruby Stitch to defend Cornwall’s domain. He informs her that what he did to cut off Wizord’s powers took a lot out of him, so it might be awhile before the two can battle. Lucky for Wizord though, because instead of trying to get his powers back, he goes into full self-pity mode. Wizord simply accepts the fact that the world is going to end. And it looks like it is. Back on Hole World we get to see the extent of Ruby Stitch’s powers. She levels an entire army of attacking tigers with a single shot from her ruby-powered sword. Margaret finally snaps Wizord out of it by telling him that there might still be hope. She shows him that there is hidden magic in the world, they just have to find it. Through three issues, I can’t really tell how much I enjoy this book. The art is fantastic and the story is really intriguing. Wizord looks like a badass, the other creatures are really interesting, and the colors are gorgeous. The issues I have are in the dialogue. I know this isn’t meant to be a really serious, gritty book, but every character talks like someone in their 60s trying to sound cool and talk like they’re 20. I’m enjoying the book enough to look past that, but the dialogue holds it back from an even higher score from me. 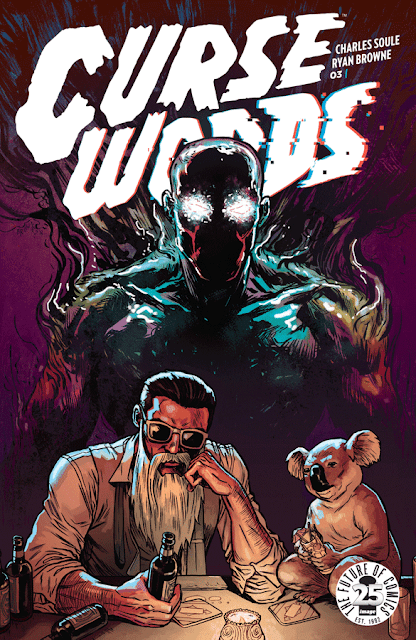 The art is this book is great and it’s a really cool concept. I have some issues with the dialogue, but it’s not bad enough to make me want to drop the book altogether. I don’t think this is a comic for everyone, but I enjoy it enough. If this kind of wacky, magical story is your thing, give it a try.